Enquiring minds who are keen to study contemporary conservation related sciences and practices. The program is designed to be delivered in an experiential learning format, alongside a competency based assessment system. 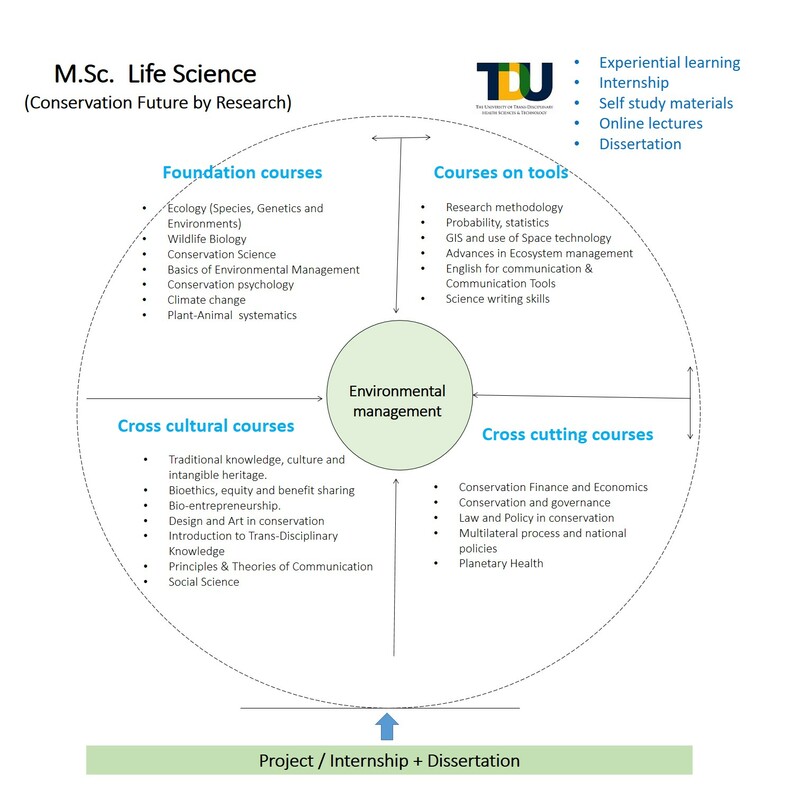 The curriculum embodies multiple disciplines from the natural and social sciences like Ecology, Climate Change, Remote Sensing, GIS, Communication, Governance, Law and Policy, Design and Arts, Basic Mathematics and statistics, Social Science and Bio-enterpreneurship. The key focus of the program is understanding change, what, why and how of change in the biodiversity space. Students will learn what change parameters to observe, how to observe, classification of the change, cause and effects and about mitigation strategies. Conservation officers and managers, Researchers on biodiversity, Wildlife, Natural resource management policy specialists in public and private sectors, Independent consultancy firms, National and International NGOs. There is a dearth of qualified hands and minds to deal with contemporary issues like Environmental Impact, Biodiversity Conservation Strategies, Natural resource Management, Climate Change, Legal and Policy level intervention and use of tools like Remote Sensing, GIS and Statistics. 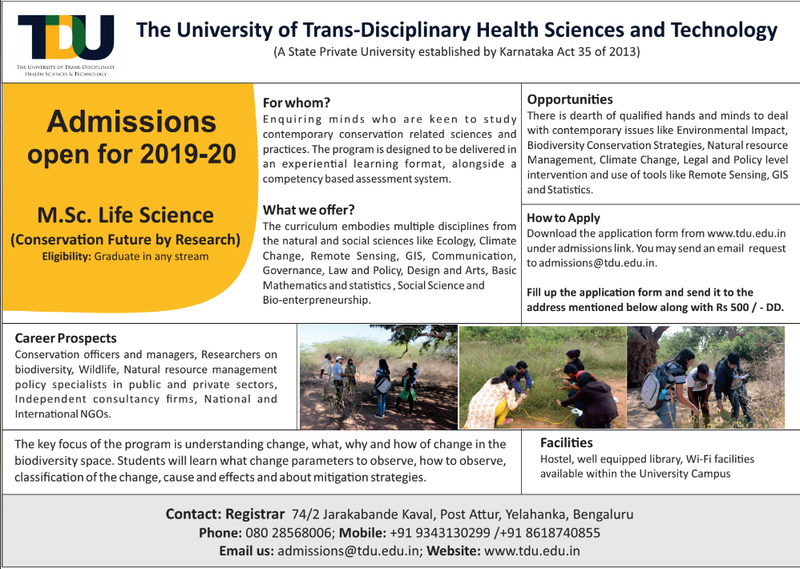 Download the application form from www.tdu.edu.in. You may send an email request to admissions@tdu.edu.in. Fill up the application form and send it to the address mentioned below along with Rs 500 /- DD.